Ms Jadranka Jovanovic, veteran Serbian opera singer and sitting Member of the National Assembly of Serbia has recorded the bhajan under the composition of Mr Vojkan Borisaljević, prominent Serbian composer and conductor. Mahatma Gandhi, born on October 2, 1869, in Gujarat’s coastal city of Porbandar is known as the Father of India and remains one of India’s greatest gifts to humanity. His name finds resonance across the continents. He played a crucial role in India’s independence and continued to inspire countless people through his teachings of nonviolence. The whole world observes 2nd October as the International Day of Non-Violence. 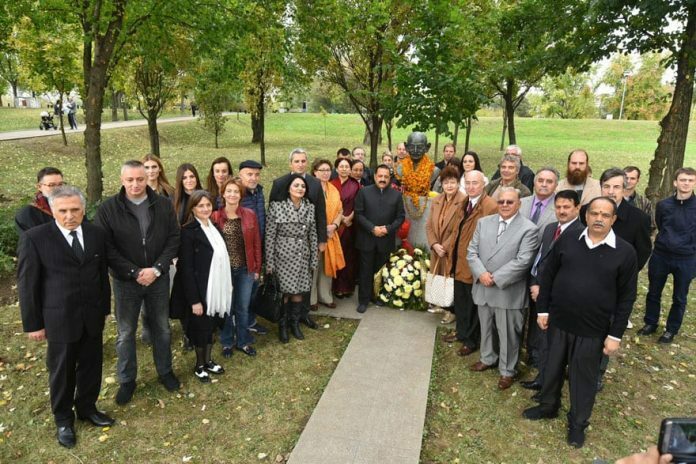 India is thankful to the Government and people of Serbia for naming a road after Mahatma Gandhi and installing his bust at a prominent location in Belgrade. 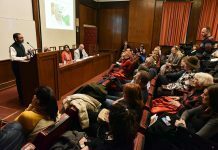 Several events will be organised in Belgrade and worldwide to mark the 150th birth Anniversary.